Everyone wants to have a comfortable mattress for a lovely night. The arrival of SoundAsleep Dream Series Air Mattress is the embodiment of a smart technology that brings the comfort level of mattresses to the next height. With years of development, you can finally bear witness to the top quality mattress currently on the market. The mattress comes with new technology that is made for your comfort and convenience. 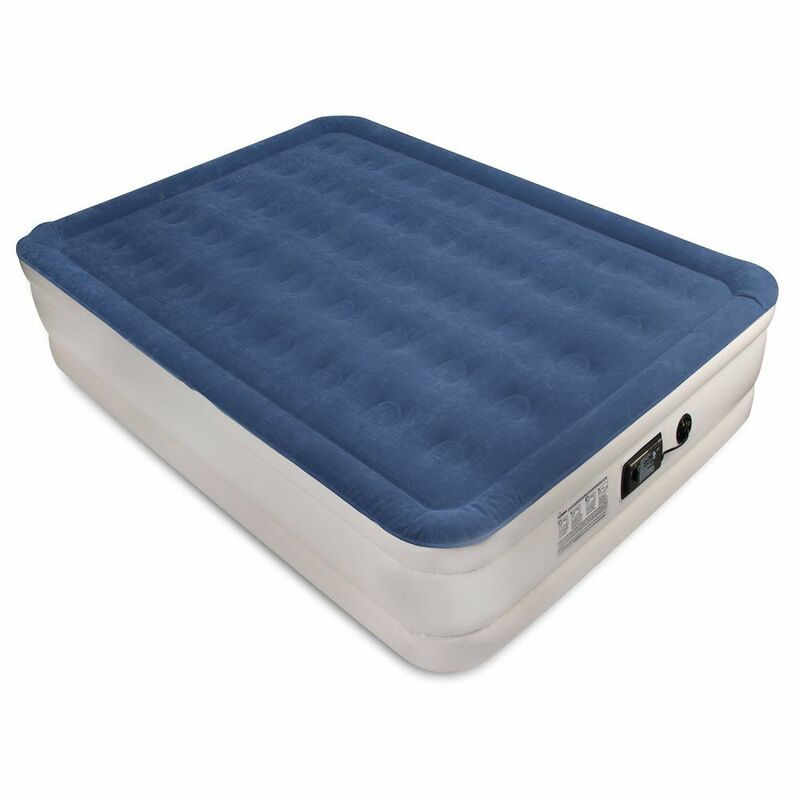 The newest ComfortCoil technology is a key feature of this mattress, and with Internal High Capacity Pump, SoundAsleep Dream Series Air Mattress is indeed one of the best and most comfortable mattresses on the market. With 40 coils supporting the mattress, the surface will maintain its firmness and shape with little to no air loss. Internal pump is built to maximize the convenience of this mattress. Simple to use and handy, you can easily deflate and inflate this mattress without worry. In contrast with the other mattresses, SoundAsleep is built with ‘Sure Grip’ to ensure that the mattress remains static in one place. 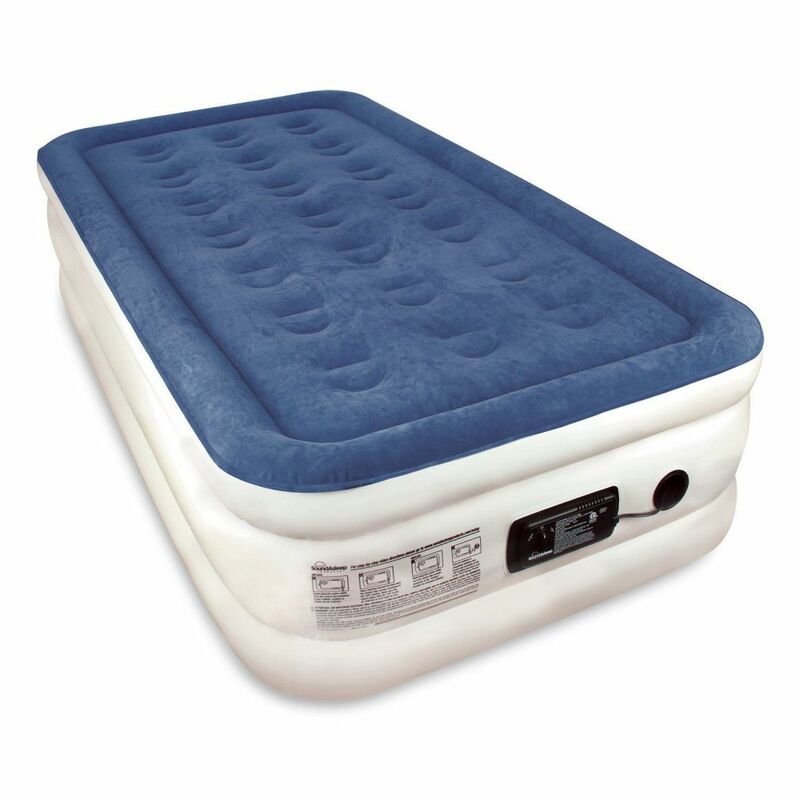 SoundAsleep Dream Series Air Mattress is topped with its huge size, comparable to the size of a queen bed. Such huge size is supported with its powerful and durable materials that can hold up to 226 kilograms. The mechanism of its layers will ensure that there will be no hole or tear detected on the puncture-proof surface, in addition to its water-proof feature. There are still many other features of this mattress that will leave you in awe. For one, you will definitely get one year warranty from the company. This is a huge advantage for your safety plan, in case something goes wrong with the mattress. Moreover, you will gain a very satisfying service from the customer service. With quick responds to any problem with the mattress and warm treatment from the company’s representative, you will definitely fall in love with SoundAsleep Dream Series Air Mattress even more. This mattress is indeed built for maximum comfort and convenience. However, this mattress is not without any weakness. Most common problems of the usual mattress can also be found in SoundAsleep. For starts, you might be annoyed by the pumping noise as you fill the air of the mattress. This mattress is best used at home, and it is not recommended to use this mattress as the replacement of your old bed. The annoying noise is getting even more increased as you deflate and inflate the mattress. If you happen to use the mattress every day, the overall performance of the mattress will decrease, and this type of abnormality might not be able to be covered by the warranty. With all said and done, you can always rely on the overall performance of SoundAsleep Dream Series Air Mattress. With better night time, you will bring more spirit and energy for tomorrow time. The wonderful ComfortCoil technology and its Internal High Capacity Pump will relax your body as you replenish your whole energy with comfort.